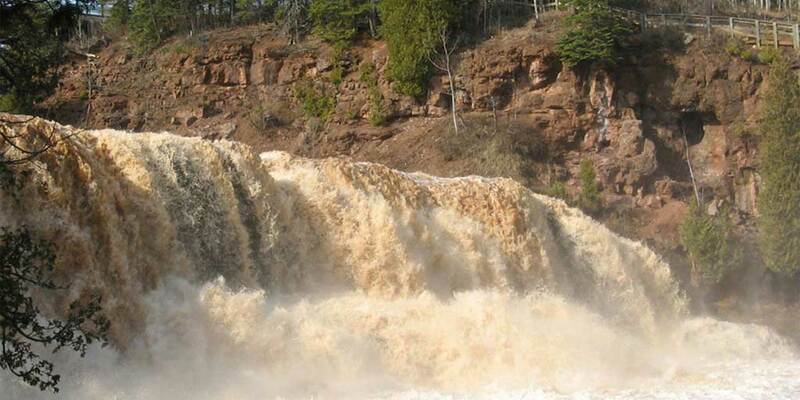 That little burg just to the south of the Gooseberry Falls State Park is Castle Danger and it offers up a nice little selection of lakeside lodging; a full-service resort and a variety of cabins and cottages. Love Gooseberry State Park? This is the place to stay! It is perfect for hikers, Gitchi Gami bikers and cross country skiers, birders, families, wildlife viewers and fall color visitors. Refresh, relax, restore, reconnect… this is what awaits your arrival at Grand Superior Lodge on Lake Superior. Our grand and luxurious authentic log resort hugs the shore of this inland sea amongst aged pines and mature birch and aspen. 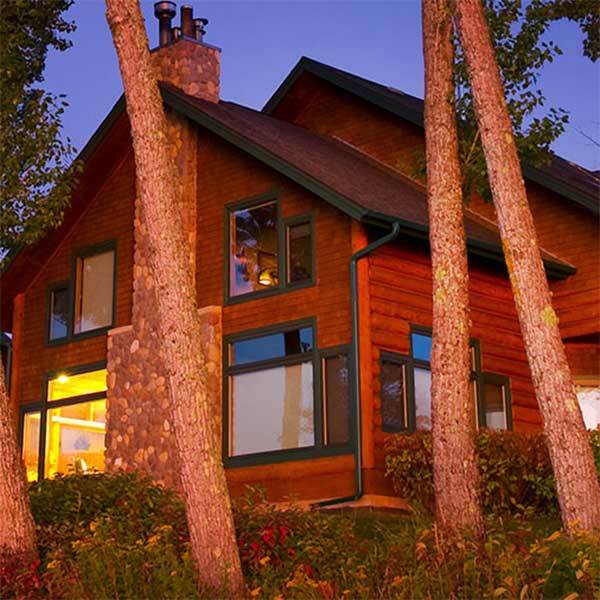 It is classic “Northern Minnesota” in its north woods location and all of the cabins, log homes, lodge rooms and lakeside suites surround you in a charmingly warm, north woods décor. But don’t think rustic…you’ll find all modern conveniences here. Located 2 miles South of Gooseberry Falls State Park. 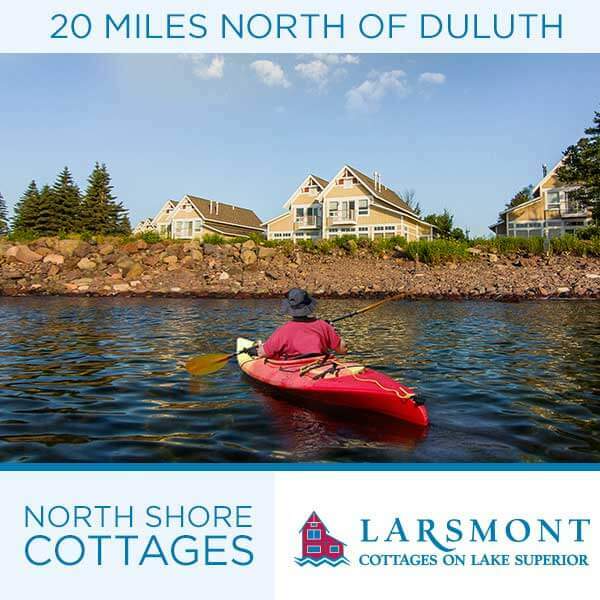 We offer 6 charming Lakeside Cottages or if you need a comfortable base after exploring the North Shore, we offer 3 newly renovated lake view motel suites (with kitchens) or 2 standard motel rooms. Nonsmoking. No Pets. Cottages open year round. Motel seasonal (May-Oct). Located on the Gitchi Gami bike trail between Gooseberry and Split Rock state parks. A country Inn and non-traditional bed and breakfast. One private cabin w/fireplace and private fire ring. Our Inn has four rooms, 2 single rooms, one w/fireplace and private fire ring, 2 two-bedroom units with kitchen, a central fire ring, playhouse, swing and hammock. Bike Rental available. No smoking and no pets. Northern Rail Traincar Inn offers a very unique experience! 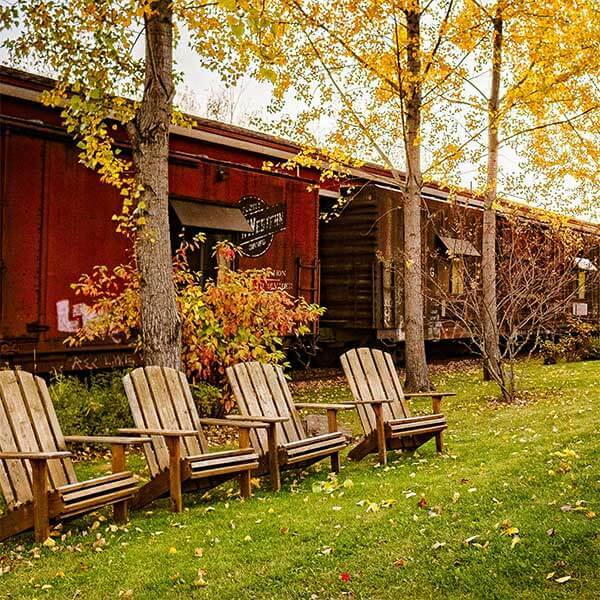 Made up of authentic train boxcars renovated into lovely guest accommodations, our Traincar Inn is nestled in the wilderness. Our rooms are connected by a charming enclosed hallway that is reminiscent of an old fashioned train station platform. The depot-style main building serves as our guest relations and breakfast area as well as a place for guests to play games or sit by the fireplace with a good book! We are just 3 miles north of Two Harbors, Minnesota, near the intersection of Hwy 61 and County Hwy 3. Non-smoking and no pets. 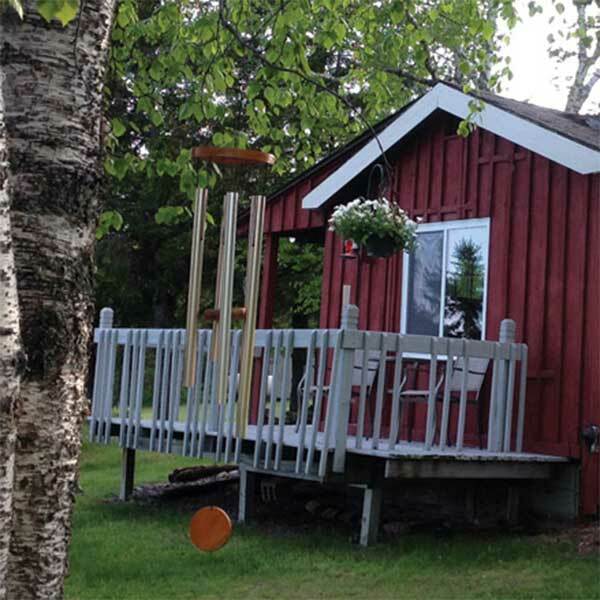 Cozy 7-unit family-owned resort located on the shores of Lake Superior with unforgettable views. Each year-round cabin has easy access to ledge rock beaches where you can explore, relax, or build a campfire. Make this your getaway spot: perfect for the outdoor enthusiast or guests in need of relaxation. Sorry, no pets. 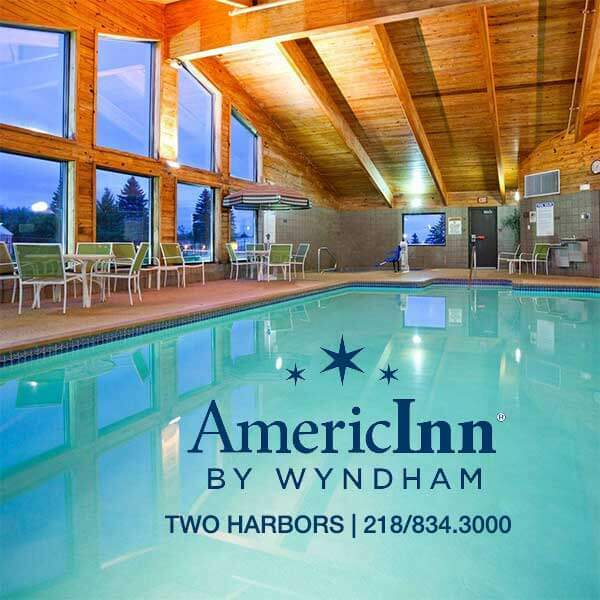 Romantic two-bedroom suites with kitchens and wood-burning fireplaces; adjacent to the state park; lake-view deck with sauna and grill; no smoking. 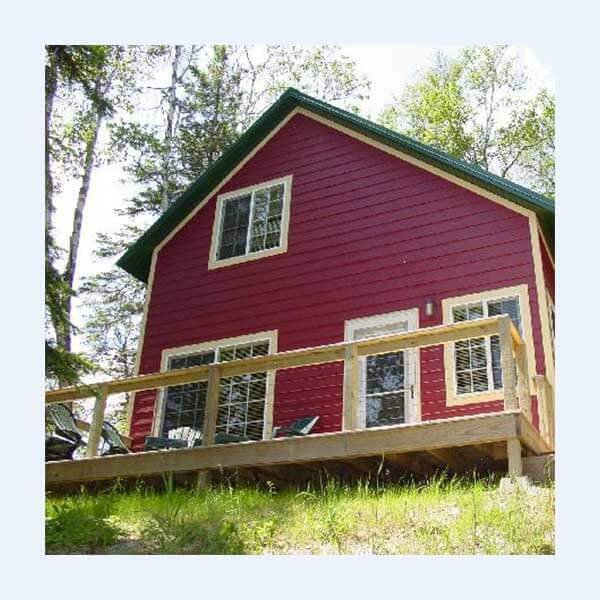 Seasonal and year-round 2-bedroom modern cabins on Lake Superior near Gooseberry Falls State Park. Great shoreline location with pebble beach. Features wood burning fireplaces and equipped kitchens. Non-smoking.